The Bournemouth Food and Drink Festival is a 10 day food event celebrating cuisines from across the world. 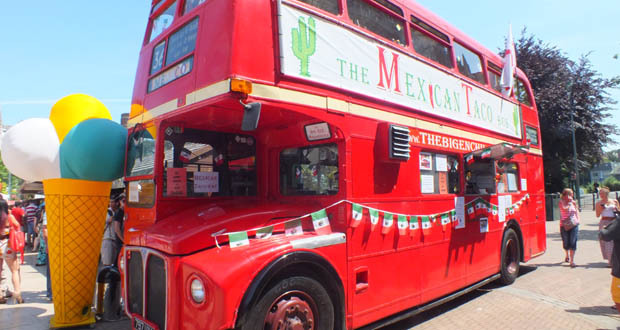 From Mexican to Italian, Spanish to Thai, there’s something here to tempt any tastebuds! The event takes place from 15th June till 24th June 2018 at various in locations and venues throughout Bournemouth. The main hub is in Bournemouth Square where you will find many stalls (all smelling delicious and looking so, so tempting) as well as a farmers market and demonstration events. Plus sit back and chill out as you enjoy an array of musical talent that will be on the stage in the Festival hub. There will also be lots of foodie events across Bournemouth for you to enjoy. To find out more please visit our dedicated Food and Drink Festival page.